After having decided to play tennis at the professional level, Eiichirou Maruo now needs to convince his parents to support his decision. To do so, he makes a wager: if he cannot win the All-Japan Junior Tennis Tournament, he will give up on his dream. However, he will need to improve his skills quickly if he wants to qualify for the tournament and have any chance of defeating the best players in the country. For this reason, his new coach Ryuuhei Aoi suggests that Eiichirou travel abroad to train at the Florida Tennis Academy. 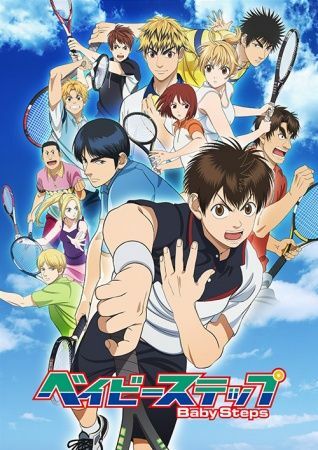 Baby Steps 2nd Season takes the action to America as Eiichirou begins his two-week training program, getting a taste of what tennis is like outside of Japan. With this exciting experience awaiting him, Eiichirou hopes that his training will get him closer to his goal of becoming a professional player.